Handies Peak at just over 14,000 ft.
Well, it’s been awhile since I wrote a blog. Seems like life is just too busy to sit down but no better time than while tapering and acclimating for a race J This past year has been busy with family, dogs, house, work, you name it. All good but never enough time. Anyway so here it goes. 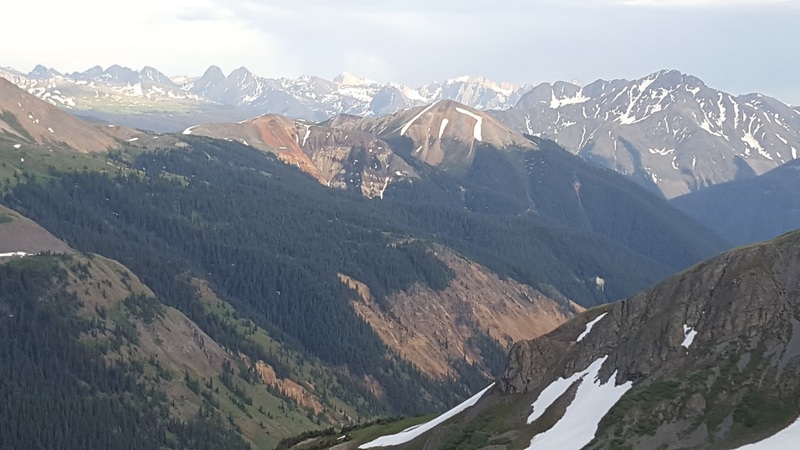 Back in December 2016, I finally was notified that I got into the Hardrock 100 mile race after 7 years of trying to get in. With only 145 entrants and thousands of applicants every year, my name came up in the first round of lottery picks. You accumulate tickets for every year you apply so your chances get better over time. And this was my time. Was I excited when I heard? Not really but now that I’m here, I’m really looking forward to running in these mountains. 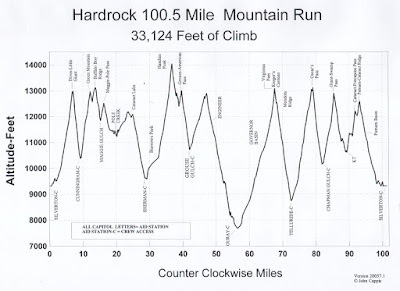 The Hardrock course is not an easy course, with 33,000 feet of climbing and 33,000 feet of descending at altitudes reaching just over 14,000 feet. But the views and the mountains are incredible! My training this year to prepare was much different as previous 100 milers. I have the least amount of miles in EVER before a 100 miler but I have put in more hours every day pushing a wheelbarrow and shoveling stone than ever before, (I started a new job in landscaping this year working 8-11 hour days). So I have a good core but less miles, we’ll see in the end how this all pans out. To remotely even think of finishing this race, the number one concern for us flatlanders in the east is the altitude. 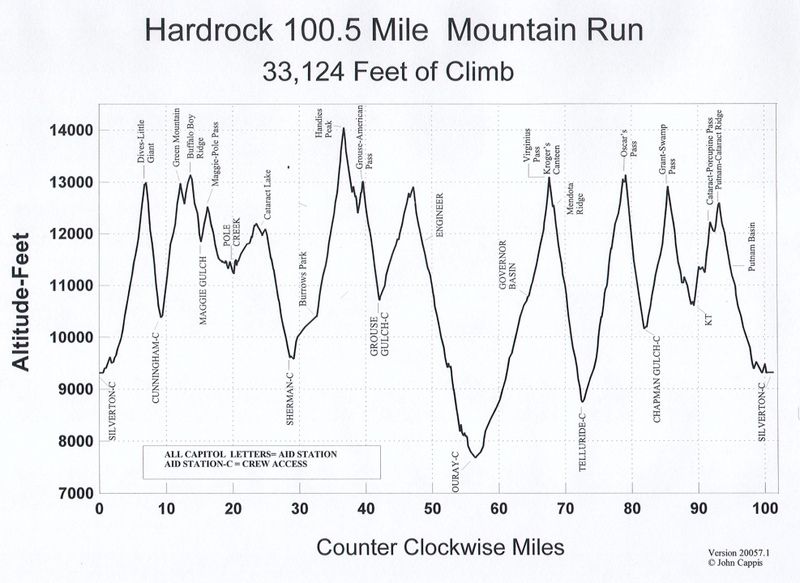 Most of the course is run between 10,000 and 14,000 feet with one short visit at 7,700 feet. So I arrived in Colorado 9 days prior to the start of the race. I flew into Denver thinking it was only 4 hours away. Wrong! More like 7 hours. It was a nice scenic drive along route 285 but long… Not unusual for me, I didn’t do a lot of research early on to figure out all the logistics. I had my entry, I had a plane ticket and that was it until a week before I flew out. I didn’t even have accommodations. Kristin did find us a room when she arrives a week later but I had my tent for the week prior and did get a rental car before I flew out and that was enough. 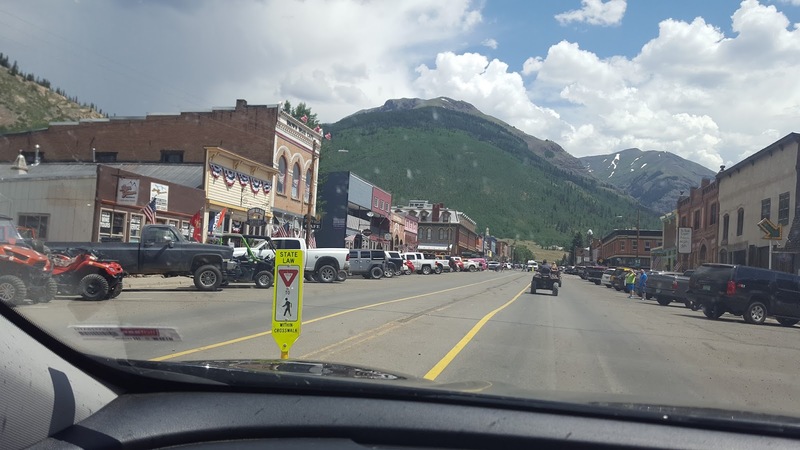 I never even saw the race profile or detailed course description until Sunday while in Silverton. But I knew it was high up and there was a lot of climbing involved, what more do you really need to know. Training, besides pushing wheelbarrows and shoveling stone, I focused on some good mountain runs on the weekends. My weekday runs after working, I tried to get in a 10 miler ever day varying the intensity. All sounds good but some I literally did the walk/run for as long as I could which might have been 4-5 miles, sometimes I would make 10. But it was a struggle. So many times I would be out on a run after doing physical labor all day, with only 5-6 hours of sleep a night and thought this was just what it feels like at mile 80 in a 100 miler. So I pushed on, slowly, hoping this was all good training. The weekends were better where I could catch up on some sleep and would do runs on Mansfield or Camel’s Hump, sometimes both over a weekend. On my way to Silverton I drove through Monarch Pass and took on a quick mountain hike/run. 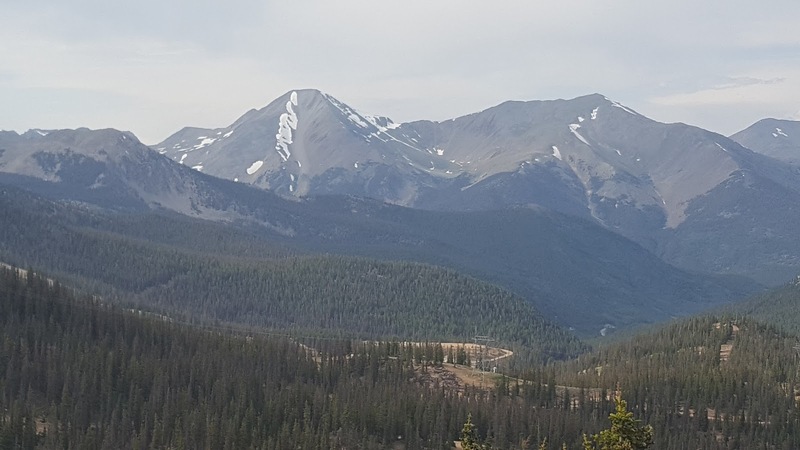 Monarch Pass at over 11,500 ft. 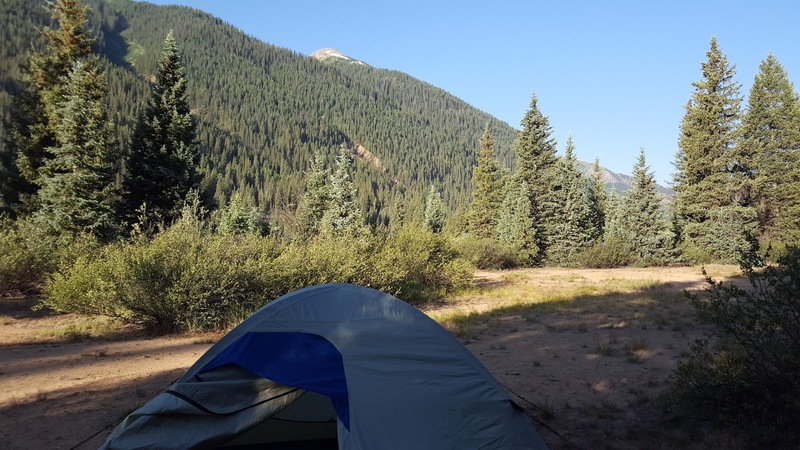 So here I am, camping out at 9,500 ft. along the South Mineral Creek, just outside of Silverton. I think that’s what it’s called. I had a great spot along the river with views. There are so many camping options in this area and most are free. From here I have easy access to the course and have been getting in runs each day getting to the higher elevations of Colorado. 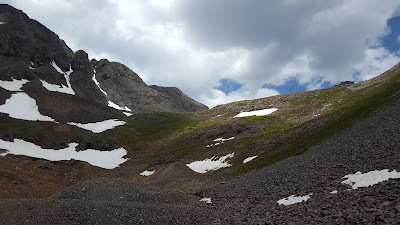 The next day I did Black Bear Pass from route 550 which heads up towards Telluride. 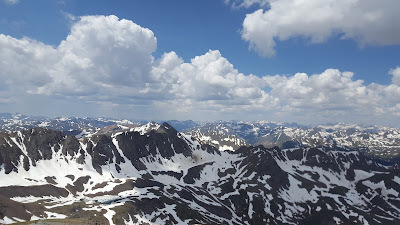 I got up to about 12,500 ft this on this route. Next up was Handies Peak, the highest point in the race at just over 14,000 ft. 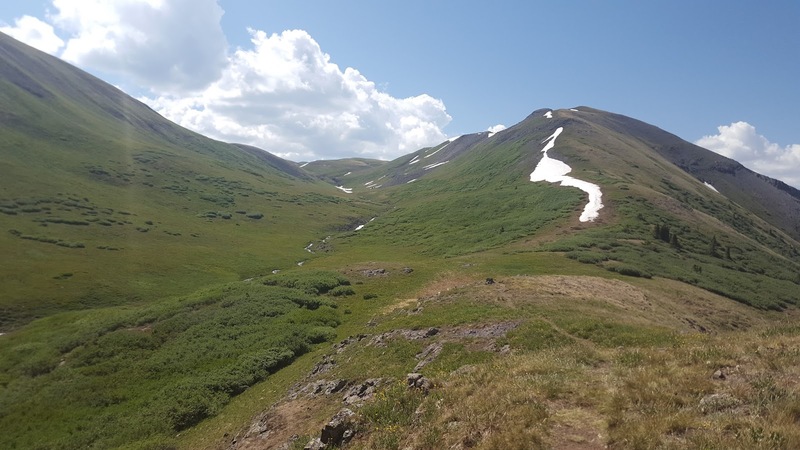 This was about a 5 mile trek from Cunningham Gulch. Awesome views in every direction from Handies Peak. On the way up I met some Hardrock legends. 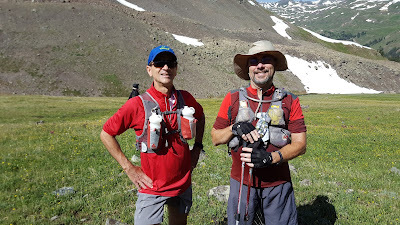 Paul who has multiple Hardrock finishes and Jimmy who has the most DNF’s. Monday I was back at it with a run up to Green Mountain Pass at 13,000 feet. I made it out just before the storms kicked in. That’s it for now. 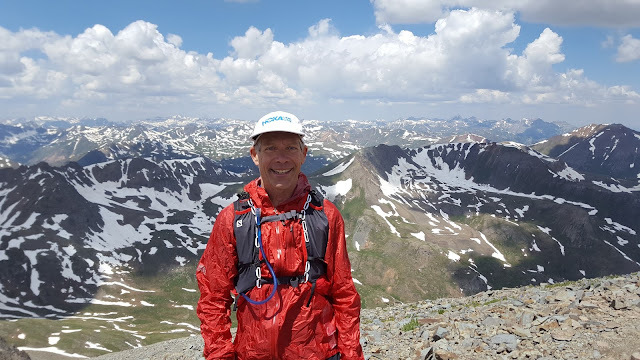 I’m on my way to the airport to pick up Kristin in Montrose and then hang out in Ouray for a few days where we will be exploring more of the Hardrock course.